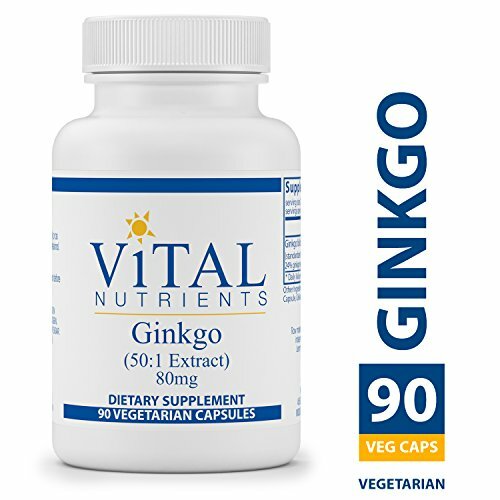 Ginkgo Extract is a popular herb used to improve absentmindedness and aid in mild memory problems associated with aging. It also maintains healthy blood circulation and helps maintain platelet aggregation levels that are already within the normal range. Vital Nutrients mission is to manufacture superior quality nutraceuticals that exceed both industry and government standards and provide clinically effective results. They provide over 200 science-based and clinically effective products. They have a comprehensive quality assurance program to ensure that purity and potency is consistently met on every product that they manufacture. Vital Nutrients uses independent U.S. ethical laboratories to test all raw materials and finished products. Each raw material is tested, regardless of origin, for purity and potency. All finished products are tested through a real time stability protocol for expiration date validation. They are an FDA Inspected facility that exceeds FDA cGMPs, and a member of the NPA. If you have any questions about this product by Vital Nutrients, contact us by completing and submitting the form below. If you are looking for a specif part number, please include it with your message. Ayur365 Brahmi/Bacopa Capsules for Mental Agility, Cognitive Health & Memory Enhancement 60ct.